A member of Philadelphia's Hilltop Hustlers Records crew, Cool C's laid-back and stoned rhymes are best heard on the 1989 singles "I Gotta Habit" and "Glamorous Life", the latter of which liberally sampled Sheila E.'s song of the same title. 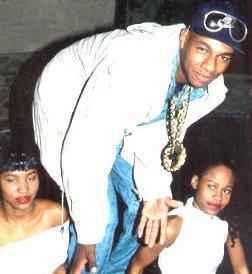 His 1987 debut single gained him a good amount of attention and caught a lot of ears: "Juice Crew Dis" took aim at the New York based crew run by influential producer Marley Marl (a group that included heavyweights Kool G Rap and Big Daddy Kane). A pair of 1988 singles for Hilltop and City Beat landed him a contract with Atlantic, where he released his two full-length solo records, "I Gotta Habit" (1989) and "Life in the Ghetto" (1990). A couple of years later, he put his solo career aside to join C.E.B. with DJ Ultimate Eaze and Warren McGlone AKA Steady B. In March 1997, Roney was sentenced to death for the first-degree murder of Philadelphia Police Officer Lauretha Vaird during a failed PNC Bank robbery he committed along with Warren McGlone and Ernest Mark Canty (both whom were convicted of second-degree murder). The murder occured on January 2, 1996 during the attempted bank robbery. Roney was the triggerman, while McGlone drove the getaway car. Canty held the 9mm. gun and ordered employees of the PNC bank to open the vault. Vaird, who responded to the bank’s silent alarm, was shot in the abdomen by Roney, and was the city’s first female officer to be killed in the line of duty. He is currently an inmate at Pennsylvania’s State Correctional Institution at Greene.